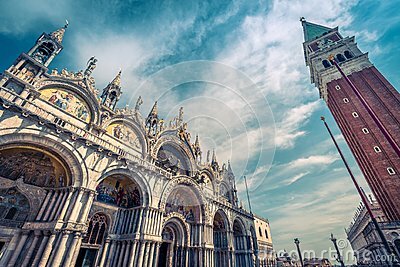 Saint Mark`s Square with Saint Mark`s Basilica Basilica di San Marco and Campanile in Venice, Italy. This is the main square of Venice. Low angle view.